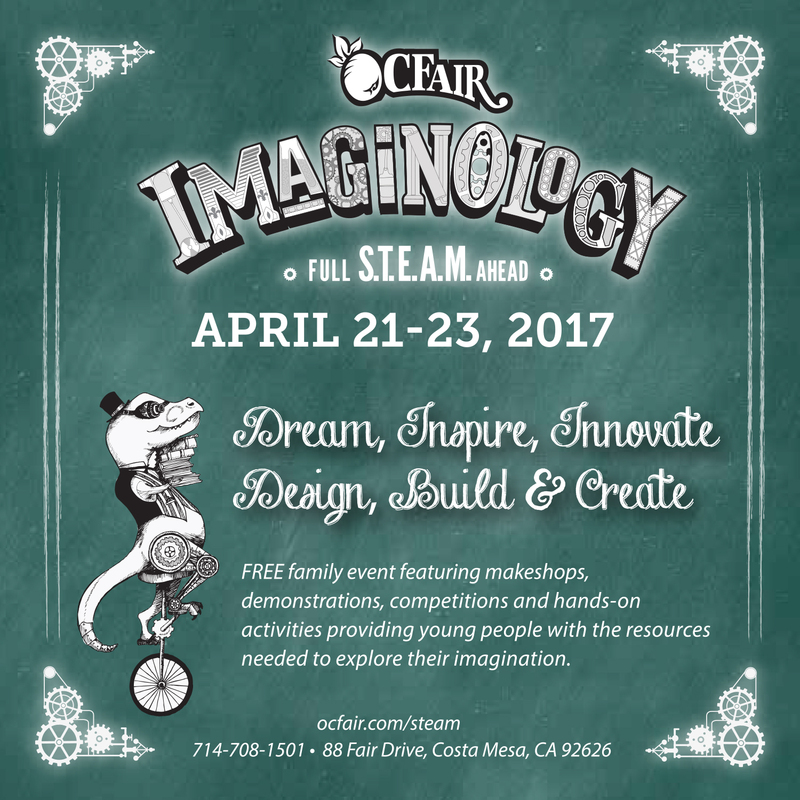 Planning is “full STEAM ahead” for the OC Fair’s 2017 Imaginology event, which is inviting Orange County students to submit innovative art and science projects for a special showcase at next year’s fair. 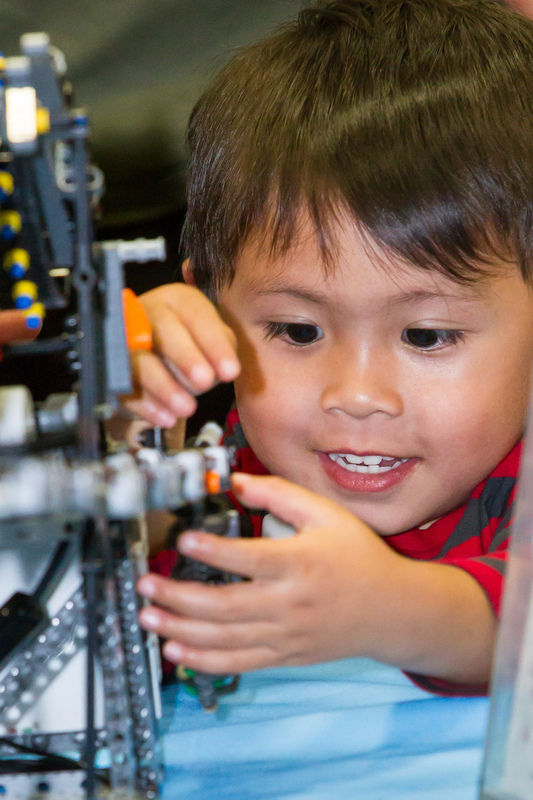 Imaginology is a free event that will be held April 21 through April 23 at the OC Fair & Event Center, bringing together children and their families to explore the various fields of STEAM — also known as science, technology, engineering, art and math. Along with promoting hands-on activities and presentations, Imaginology is encouraging students from pre-kindergarten through high school to share their own creations representing categories such as 3-D printed art, jewelry and photography by the March 24 deadline. The top entries will be on display all three days. 3-D Printed Art: Also known as additive manufacturing, students can create an original piece that is either functional, art-based or both. Cardboard Engineering: Let the creative juices flow in this competition, as contestants dazzle with handmade cardboard bicycles, games, furniture and so much more. Computer-Generated Art: Create a virtual masterpiece by using computers and computer software as part of the production or display of artwork. Drawing: Using the oldest form of technology, the human hand, create your penciled piece of art. Various drawing mediums are accepted, see competition guidelines for list. Farmology: Craft a farm animal or insect project from recycled or repurposed material. Fashionista: Use your imagination to transform unusual materials to a wearable piece of clothing. Fiber Arts: With a pattern or your own design, weave, stitch or knot a crafty creation. Jewelry: Using beads, gem, jewels and more, create your own delicate jewelry designs. Kinetic Art: Create a moving artwork through mobiles that move naturally or by machine power. Make It with Clay: Get your hands dirty and sculpt a clay creation. Motion-Based Media: Entertain by making a 5-minute or shorter animated film using claymation, stop motion, photography, film or video. Painting: Through careful strokes, display your artistic hand through your painted art-piece. Photography: Capture the world around you through a digitally taken photograph. Shooting with film also accepted. Manipulated Photography: Mess with Mother Nature by creating a new reality through digitally manipulated photography. Poetry: Express yourself through your own Haiku poem and illustrate it with a drawing, painting, collage, computer art or photo. Read & Draw: Read a book about a S.T.E.A.M. subject and draw or paint a book jacket that illustrates the story. Upcycle It! : Using old or discarded materials re-create a useful or beautiful artwork. Wood & Metal Arts: Cut, hammer, weld, glue and saw to create an art piece out of wood, metal or both. Additionally, the weekend will feature live entertainment, exhibitors, vendors, design-your-own scarecrow contests, hands-on fun from the Centennial Farm, scavenger hunts and more. Again, the entry deadline is March 24, and you can find more details at ocfair.com/steam.